We have produced a wide array of chassis types and variations since we started. We feel our designs have progressed, and evolved into better looking, safer, and more functional chassis. While our competitors copy some of our older designs, we have moved on to what we consider a superior product. 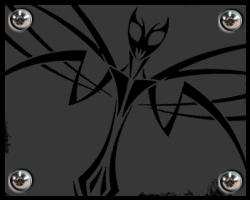 The Mantis chassis series is unique in it's approach to the end builder and in function. The Mantis chassis is designed with a more fundamental format than American Rock Rod's other chassis styles. This means that several attributes such as coil over, radiator mounts and floor bars are not included in the base models, but optional. This allows the builder to acquire a principal platform at a less comparable price to our other chassis types. This leaves opportunity for you to add your own tube work and personal flare. For an end result that can be more customized with the security of knowing your base chassis is dimensionally and anatomically positioned correctly. We have several key straight tubes that we recommend, and they can all be added with just a simple notcher and chop saw. No tube bending required. 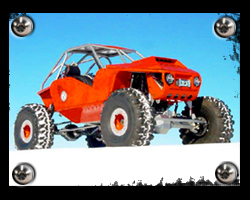 THE MANTIS 2: The Mantis 2 chassis is a front engine off road buggy that seats two people. The width of the chassis is 48", which is a bit narrower than a typical Jeep. 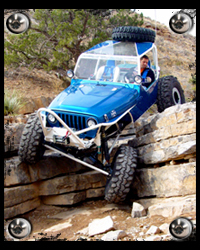 This incredibly agile design makes this rock buggy lighter and exposes less body and frame to drag, hit or hang up on in off road situations. Cab space will accommodate a person of 6' 3" and still have 4" of over head interior head space. The Mantis 2 is an excellent choice for the dirt pilot that wants a smaller but solid chassis for trail rides, competition crawling or rock racing. 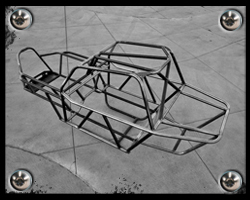 The front end of our chassis can be setup to accomodate our custom front clip, or narrowed Jeep body panels. THE MANTIS 3T: The Mantis 3T has not been shown to the public yet as it is still in the design stages. It will be a long wheel base 2 seat chassis with a truck bed back end. The front will almost exactly resemble the front of the Mantis 2, with a tubular and functional bed hanging off the back. 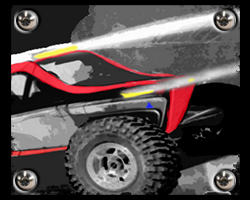 This buggy will have a trophy truck look with the ultimate in cargo capacity. 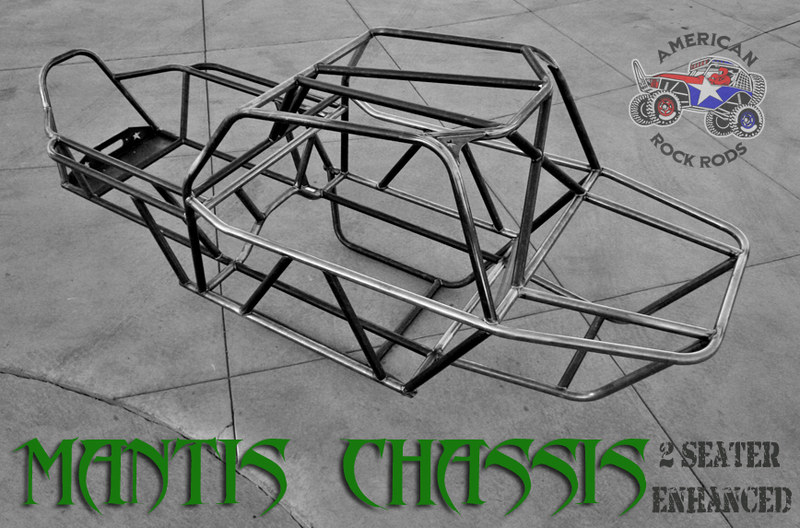 Look for this chassis to emerge in 2012!. 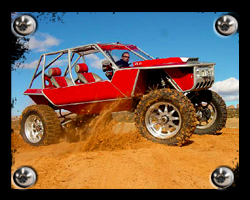 THE MANTIS 4: The Mantis 4 chassis is a front engine off road buggy that seats up to four people comfortably. The width of the chassis is 48", narrower than some of the previous buggies we have built, and the normal dimensions of most smaller factory bodied vehicles. Although the width is narrow, the Mantis 4 chassis is a long wheel base buggy. This means that it's length will require more strategic driving for more difficult trails and larger tires to keep it's undercarriage from hanging up on obstacles. Although you will find that the wheel base can be an advantage on large shelf trails, loose hill climbs and the big bowls of Moab. Fit is perfect for anyone up to 6'3". This off road chassis is the perfect choice for the wheeler that is looking for a family buggy that still wants some of the advantages of a smaller dimensioned machine. The Brawler chassis is still in the early design stages! It will be a 2 seat, rear engine competition style buggy. 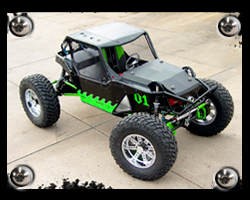 THE BRAWLER 2: This hybrid dessert and rock racer is a 2 seat rear engine chassis built from both 2" and 1.75" d.o.m. round tubing to ensure it's safety and long term durability for many years of racing and trail riding. 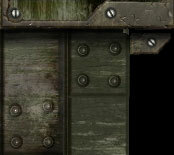 Further, this is the staple base material for a race oriented machines of it's completed weight class. To allow it to compete from the rocks of the Hammers to the Baja peninsula. Engineered to accept coil over single/dual shocks and ORI style strut suspensions. A side to side dimensions comparable to many of the smaller two seated competition style tube cars in contention today. The Brawler's more intimate interior and exterior creates superior maneuverability and less body to hang up on trail obstacles. 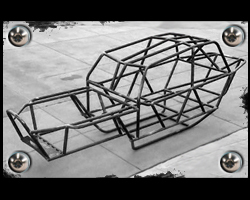 Brawler chassis' have their own signature appearance and require American rock rods to craft the front hood and cowl assembly, or a custom built front end coverage is required. 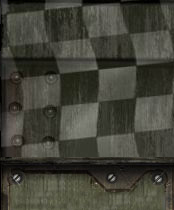 Unique chassis builds are the way to have a rock rod that has an exclusive appearance and specific functional capabilities. These off road chassis' can be commissioned with client input and direction as to these attributes. Examples reflect, special duty vehicles, competition focused machines and simply a vehicle that is one of a kind. If you can sketch it, we can build it, all while keeping it purposeful, functional, and safe. UNIQUE BUILDS: These off road buggies are unlimited in style and function, and are only limited by cost and gravity. If you want an off road machine for a special use or just desire something that is completely uncommon and without a duplicate, this type of chassis is your best choice. Be prepared that build times are typically much longer, costs can easily skyrocket, and more frequent visitations to our facility are required.